The three men accused of breaking into a Capac grocery store this past weekend have been arraigned on multiple charges. The suspects are believed to have broken into Fronny’s Foods on Capac Road Sunday night and attempted to steal medication from the in-store pharmacy. The men and their vehicle were captured on video camera and were arrested by Oakland county authorities later that night. 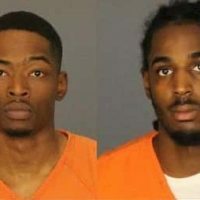 Maliek Davis and Jalen Richardson of Novi, as well as Dezhon Colson of Detroit, have all been charged with breaking and entering, possession of burglary tools, and malicious destruction of property. They are currently lodged in the St. Clair County Jail on a $100,000 dollar bond. Three Oakland County men are in custody after allegedly breaking into a Capac grocery store this past weekend. The St. Clair County Sheriff’s Department says the three are believed to have entered Fronny’s Foods on Capac Road around 10pm on Sunday. The suspects attempted to steal medication from the in-store pharmacy however they were unsuccessful and left empty handed. The store’s security camera captured the three individuals on tape as well as their vehicle and license plate number. The were found in Oakland County a while later and taken into custody with the help of the Wixom and Walled Lake Police Departments and the Michigan State Police. 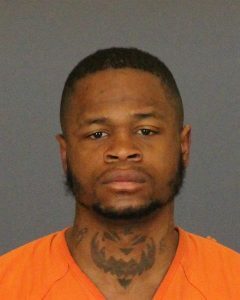 The men, ages 23 through 26, all from Novi, are currently lodged at the St. Clair County jail and will be facing breaking and entering charges.